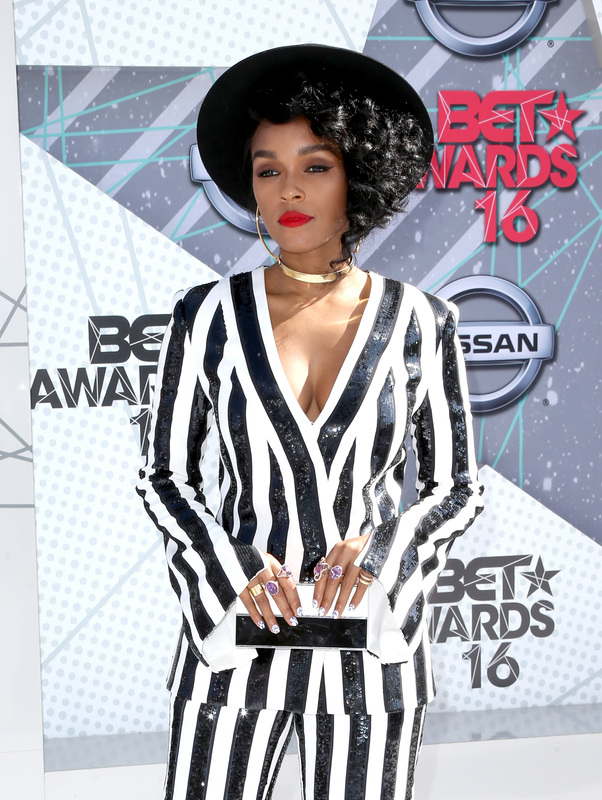 In a night full of powerful covers, Janelle Monae's Prince tribute at the 2016 BET Awards takes the proverbial cake. Donning a stunning white costume in honor of the Purple One's 1991 MTV VMAs ensemble, Monae performed a medley of Prince's hits, slaying every song with her otherworldly voice, impeccable dance moves, and incredible energy that vibrated throughout the audience and had everyone in the crowd up on their feet. With such a powerhouse performance — the best of the night so far — it's only right to honor every Prince song that Monae covered in her tribute. She started the number off right with a classic, infusing "Kiss" with the falsetto and funkiness it deserves, even writhing on the floor and at one point turning the mic stand into something more, uh, phallic (Prince would be proud). She then smoothly transitioned into "Pop Life," gliding across the dance floor in a move so effortless it would make Michael Jackson blush. Lastly was her rendition of "I Would Die 4 U," backed up by an entire choir in white robes. And talk about fancy footwork: Monae broke it down like no other, her feet in a mesmerizing frenzy beneath her. But as powerful as her tribute was, nothing was more emotional than the moment after the performance, when she broke down in tears and fell to her knees on stage. Out of gratitude, perhaps, or relief, or the many, many mixed emotions that must come with flawlessly nailing a tribute to an iconic singer gone much too soon. Watch Monae's entire Prince tribute above, and let the singer's music and artistry live on in the emotional performance.